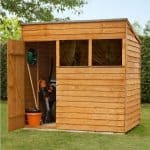 Larger than the 8 x 6 version this gives our gardeners some extra and useful garden storage space. 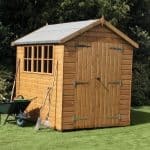 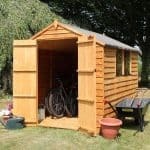 It is a classic looking shed with rustic styling and without doubt is superb value giving a large storage solution which is easy on the pocket! 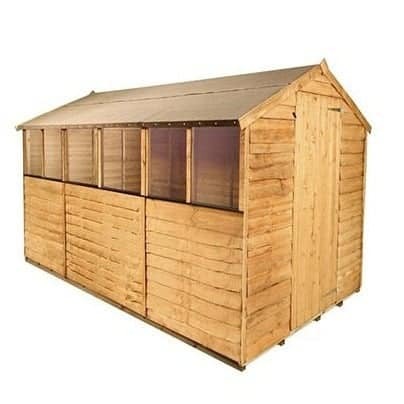 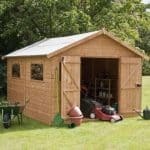 The shed comes complete with well-sized windows for light and air and with a tall door it is extremely easy to store and remove large pieces of equipment. 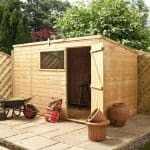 Ideal as a small garden workshop too, gardeners will be thrilled with this building which lends itself to any garden design. 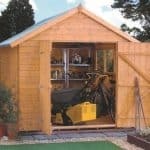 Crafted from hard wearing and long lasting wood and with classic overlap cladding for strength it’s the perfect companion for all your gardening equipment.